He spoke at a town hall meeting tagged: â€˜â€™The Candidatesâ€, organised by the MacArthur Foundation in collaboration with NTA and DARIA media on Wednesday in Abuja. â€œItâ€™s all lies, let the prove their claim. I actually left large sums of money in the state account at the end my tenureâ€, he said. The running mate to Atiku Abubakar noted the former vice president had the capacity to address the countryâ€™s growing unemployment statistics. â€œIf you look at his cumulative experience, his age notwithstanding, you will agree with me that he had what it will take to address the country`s developmental challenges,â€œ he said. 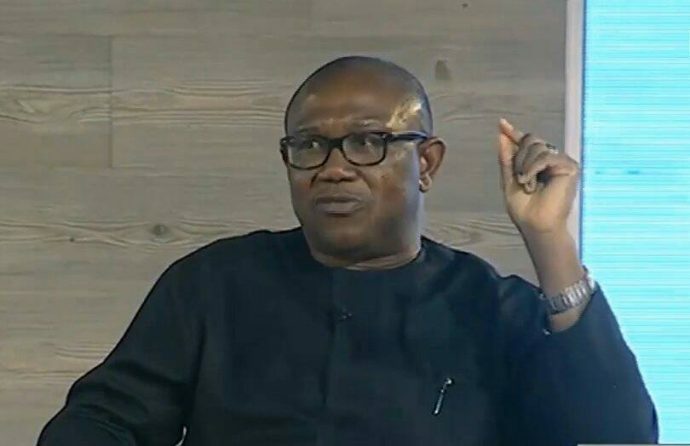 â€œIf you say that the PDP spent $16 billion and there is no power, it is not true,â€ Obi stated. Can corruption ever stop in 9ja?